If you’ve ever been to Taco Time, you’ll understand how excited I am about these Crisp Bean Burritos. I spent my high school years in a small town in Wyoming, and long before McDonalds came along, we had Taco Time. Every time I’d go, I’d order the same thing–the Crisp Bean Burrito. If you’ve never been to Taco Time, you’ll probably take one look and the recipe and think, “Really?” It’s just refried beans and cheese rolled up in a flour tortilla and fried. I can’t explain why it’s so good. It just is. You’re going to have to trust me. 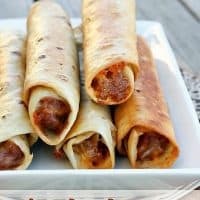 I don’t live anywhere near a Taco Time now, but I still get cravings for Crisp Bean Burritos, so I was beyond excited to come across this recipe. Honestly, it’s so simple, I don’t know why I’d never thought of making them myself before. I suppose you could bake these if you wanted them to be healthier, and actually, I don’t fry foods all that often, but I wanted these to taste as much like the real thing as possible. The fried tortilla is what makes the Crisp Bean Burrito crisp, after all. These definitely satisfy my Tex-Mex fast food cravings. In fact, a craving struck while I was posting the recipe, so I’m making them again tonight for dinner. In a medium bowl, mix together refried beans and taco seasoning. Spread about 1/3 cup of the refried bean mixture down the center of each tortilla. Sprinkle with 2-3 tablespoons of cheese. Roll tortillas up tightly, keeping ends open. Carefully lay 2-3 burritos in the skillet, seam side down, and cook for 30-60 seconds, or until golden brown. Carefully turn the burritos and cook the other side until golden. Remove from oil and lay on a paper towel lined plate or baking pan. Repeat the frying process until all the burritos are cooked. Brad will be so excited!!! We crave these too. We were just talking about what else we need here after we got the Costco and Trader Joe’s announcements. We said Taco Maker or Taco Time. Holy smokes – YUM! I could soooooo go for some of those right now. WOW. 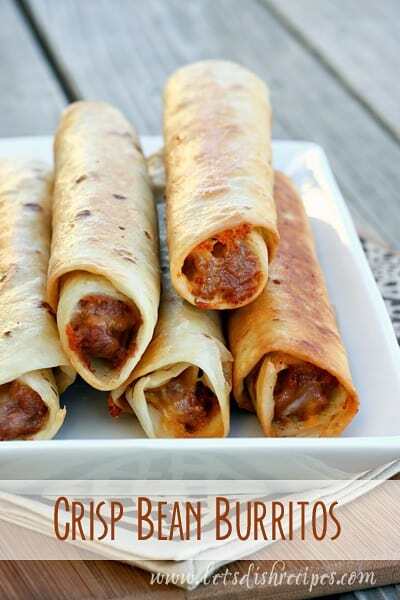 I tried these using homemade refried beans. The beans in a can are drier and mine lacked enough salt but this was a great starting point to try again. I wanted to add that I created a slurry seal out of flour and water to help seal the end. 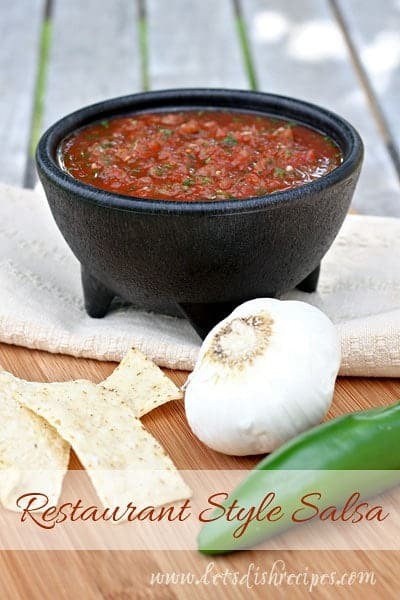 I’m loving this recipe but it really needs their original taco sauce, mmmmm! Do you think it would ruin it if I added hamburger or shredded chicken? They originally have a taco beef inside, but you would need a meat grinder to make the meat smoother and squeeze it into shape. I use fried ground beef, taco time seasoning, the water and about a cup or so of cheddar cheese. Not the original taste but close. Yum! I saw this recipe and just had to leave a comment. I haven’t heard anyone speak of Taco Time since I was a child living in Idaho. My sister and i would get so excited when our parents took us to eat there. We moved away when I was 10 and I haven’t seen one since. Here in South Carolina we only have Taco Bell. Thanks for bringing back a wonderful childhood memory! I have tried making these a couple times before and haven’t had nearly the success you did. I tried a ground beef version though. I think maybe I’m not rolling them tight enough or something because I always get filling spilling out the ends and the sauce on the meat makes the oil spatter! Its comical to watch, but not very good to be the one getting attacked by your taco. Thankfully I live 15 minutes from a Taco Time. Yours look just like the original though! Bravo! Try using a deep fryer. Instead of on the stove… works even better. And you can use tooth picks to help holl it closed tighter and stay closed. A TacoTime original. Your choice of savory fillings, hand-rolled in a soft flour tortilla, then deep-fried to golden perfection. Crisp Pinto Bean Burrito – Refried pinto beans and cheddar cheese. Crisp Chicken Burrito – All-white chicken, cream cheese, mild green chiles, onions and spices. Crisp Meat Burrito – Seasoned ground beef and jalapeño cheese sauce. Crisp Juan Burrito – Pinto beans, seasoned ground beef, rice, cheddar cheese and salsa verde. Wonder if I could do a hybrid meat/bean burrito? Might not need the meat as finely ground? Some stores did make these. Just bought lunch at Taco Time in Ames, Iowa and always get a Crisp Meat Burrito AND a Crisp Bean Burrito. The stuffed Mexi-Fries are great too! Is there really still a Taco Time in Ames??? I lived in Montana and while I’m not familiar with Taco time, I fondly remember getting crisp bean burritos at convenience stores. That plus Jo Jo’s make me drool! I am going to try this method soon! I live in MT, and we have the crispy pinto bean burritos on our Taco Time menu. Soooo good! I can’t wait to try this recipe! Thanks! Just need the ranch to make it complete!!! Its impossible to match. Any help? Hi, wow I went to high school with you so I know all about Taco Time in that small Wyoming town. 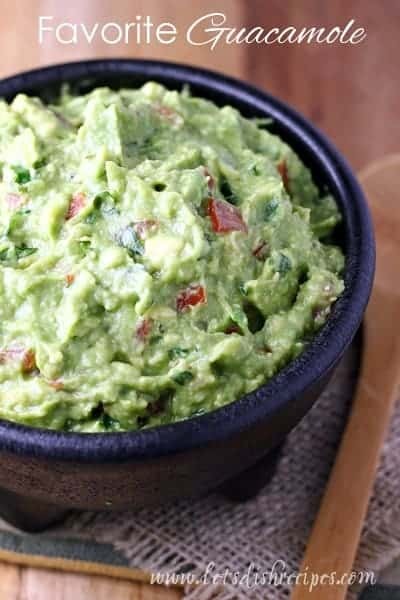 Someone pinned your Taco Time recipe on Pinterest and I found it You looked so familiar. So I looked in my yearbook and sure enough, it was you. I love those crisp bean burritos. Thanks. I make these also. I have found if I microwave the tortillas first to soften them, I can wrap them tighter and they will fry with less mess. 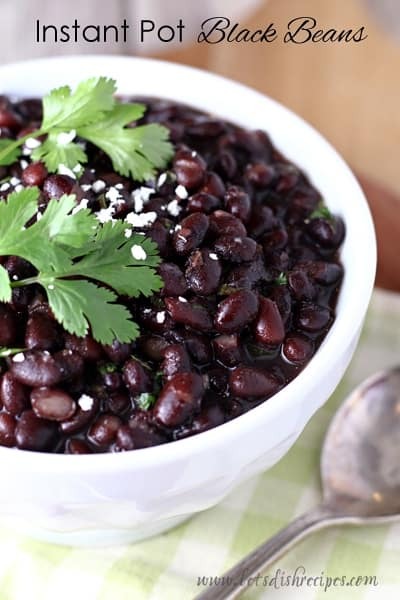 I also use bean dip instead of refried beans- a bit more flavorful and no need to add any seasonings. Hmmm, this sounds vaguely familiar to me. Small town Wyoming, cruising the main streets and hanging out in the parking lot of Taco Time before McD’s came to town??? We still have Taco Time, but it has not been the same since Julie left. This too, is my fondest memory. However, we can never ever forget the ‘crustos’!! =) E-town Red Devils, “Go Red, Go”! As far as the person that said the ranch just wasn’t quite right… it’s because Taco Time had their own recipe for “Sour Cream Dressing” it wasn’t ranch. These look great! Have you ever tried freezing them and reheating? We live near Greensboro NC. We used to have a taco time there. Loved it and the burritos. My Mom and I went there slot. Thanks for the good memories and the recipe. Thanks so much for posting this! I’m a pregnant woman and this is the one thing I feel I can actually eat! You’re a life saver! I also grew up in a small town in Wyoming and love Taco Time. I’ve yet to find a recipe that equals their meat. But I’m trying these burritos for sure. I’m from GR, where are you from? I also worked at a taco time in wyoming. The tortilla should be thin ones and though using flour and water to seal them helps the ends also are tucked in to help keep the contents in during frying. Im really missing their original homemade nachos made with real cheese and enchilada sauce over top. Haven’t found any where that makes enchilada sauce like theirs. ugh. These were an absolute mess! I was so disappointed. They looked so yummy. My tortillas wouldn’t stay closed, my filling leaked out like crazy :(. I ended up putting the rest in the oven and crimping the, up that way. Haven’t tried those yet. Hope they are edible. Taco Times are all over the Pacific Northwest. As long as I have lived up here…25 years… they have had both bean and beef burritos . I hate beans an always get the beef the rest of my family likes beans. I’ve never been to a Taco Time that only had beef ones. I’m going to make this for my husband. I’m sure he will like them. Never heard of “Taco Time”, but tried these today. These are the bomb!!!! We lived a block from the first taco time and crisp meat was our families desire. Had them every week, for our family of nine in Eugene, Oregon. They were 55 cents then and r 1.50 now. Not bad for a period of 50 plus years. Just as good now as they were then. Just finished 2 for dinner. Well, I’ve never heard of Taco Time, but these sound like a tasty, easy weeknight dinner! I know I’ll be making them soon! Thanks for sharing this recipe! Thanks for posting this, and thanks to all the commenters who shared their Taco Time experience. Weren’t these made with yellow corn tortillas? I don’t think we ever had a Taco Time in Illinois, but apparently there is one near or in Chicago for some reason. When I lived on Oregon I would get these, and I think I got them in a Pennsylvania food court at one point. I’m not positive buy I think Taco john’s had these too.. But I could be wrong. The cool thing is, my grade school cafeteria made a crispy yellow bean burrito that tasted just like the ones at Taco Time, if you can believe it. If I bake these what temperature and how long? Also do I just put them already rolled up and on a pan? Thanks. I honestly would not recommend baking these. Since it’s a copycat recipe, a baked version wouldn’t be very much like the original. But if you did bake them, yes, I’d roll them up first. I’ve never tried it, so I’m just guessing, but I’d say 350 degrees for 15 minutes or so. I’d spray them with some nonstick cooking spray too, so they’d get a little bit crispy. Does anyone know what kind of oil Taco Time uses? You DONT need a meat grinder! My tip to get the meat super fine with hardly any extra work is to add water to the meat AS SOON AS YOU START COOKING it.Mix Water in with the meat and it breaks it up to be a very fine texture.The water cooks out. This technique is used in making Chili dog sauce. I’ve made a version of the crisp meat burritos using this method and its great! I’ve rolled, sprayed said rolled burritos heavily with oil spray then “fried” in a Stove top pan. Rotating all sides. Crispy, lighter, and super yummy!!! I think peanut oil is best because of it’s high burning content. I love this recipe and i will try some of the different ideas until it works good for me. Wish me luck and thanks for the recipe. Getting ready to try this now, but using white corn tortillas. We use to have a Taco Time here in Des Moines Iowa. So sad when they closed! Is there really still one in Ames?? That would SO be worth the 25-30 min. drive!! This is awesome! I’ve told my wife many times about Taco Time crisp burritos that I’d stop at on my way home from skiing… typically order 5 and hot sauce to eat on the drive home. I’m making these tomorrow! Thanks for this! You’re welcome! And I totally understand your love of crisp burritos! We’ve made these many times because we miss Taco Time!!! The recipe is wonderful, as is! Any idea how to tweak this for the crisp chicken? I’m so excited to try these! They’ve been a favorite of my mom and me for a long time! Curious if I could bake them instead. Any suggestions on time and temp if I baked instead? I haven’t tried baking them, so I can’t say for sure on time and temp. Although I’m sure 350 would work, until they’re golden brown. I’d spray them with some non-stick cooking spray beforehand, so they get crispy. They won’t taste as much like the original if you bake them, but I think they’d still be delicious! When I was in college in Oregon I worked at Taco Time! Totally loved the crispy bean burritos. Sadly, when I moved back to California, we didn’t have Taco Time restaurants. I will be making these beauties!! !